I love these stamps! They are such a "gift" (heehee). I used Zig Clean Color watercolors of the flower and Versamark ink with white Stampendous embossing powder! Gorgeous...love the pop of yellow! 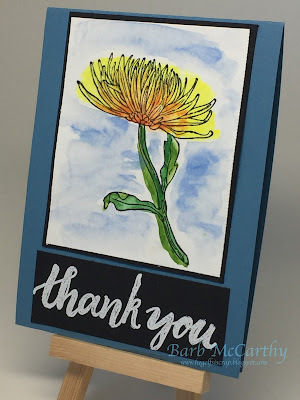 Thanks for joining us for the Hero Arts Fabulous Flower Challenge! Very nice, I like your carefree style colouring!